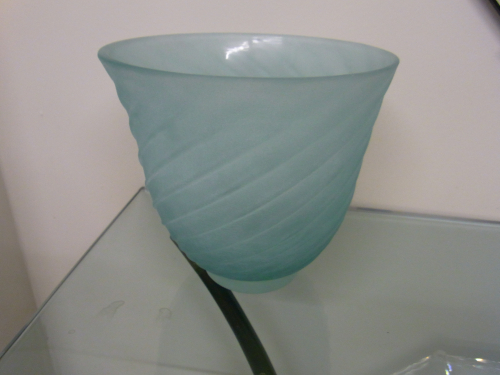 Light blue scavo vase by Cenedese, Italy 1960. Signed. The scavo technique was introduced to mimic the look of glass from Roman times. This was achieved by adding a powder mixture to the outside of the glass during firing.